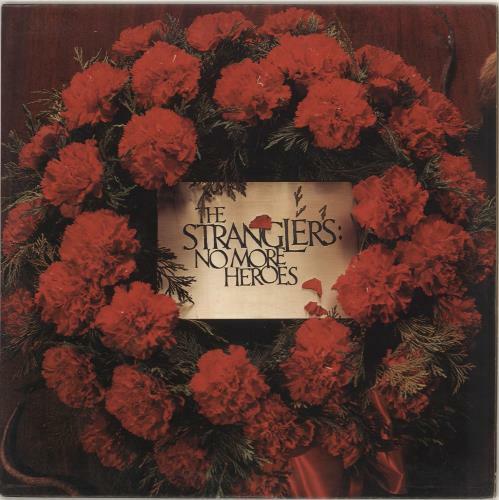 THE STRANGLERS No More Heroes (1977 UK first issue 11-track LP with wreath labels & 'Made In Hong Kong' & 'Hand Carved For Your Listening Pleasure' etchings in the run-outs, complete with card picture inner, picture sleeve. The sleeve displayssome light shelfwear with a couple of minor paper splits & scuffing & the vinyl is Excellent with few signs of play UAG30200). or visit our The Stranglers image gallery.